The Third Eye Chakra is located between the eyebrows behind the forehead. It is associated with the Color Indigo and all the Elements combined. The energy of this Chakra allows us to experience clear thoughts, Self- reflection, Spiritual Contemplation and Intuition. when your third eye is open, you will use both feelings and logic to make big decisions in life. You will trust in your own intuitions, and you will be comfortable knowing that you’re living your purpose. When you practice third eye chakra healing, you can notice a profound difference in your atonement with the world around you, and on your ability to be mindful. Awakening the ajna chakra opens unexpected realms of possibility and beauty. We discover that we are more than we knew, or even more than we ever imagined we could be. We see our experiences from fresh vistas and find ourselves in an improved state of consciousness in which we can clearly perceive how we are affecting and being affected by the people, places, and patterns around us. 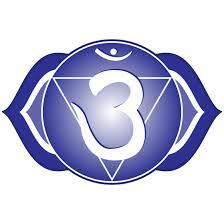 We have an opportunity to bring more grace and joy into our lives as a result of opening the third eye chakra. VISUALIZING YOUR BEST COURSE OF ACTION.